Let me tell you about a place so awe inspiring and dramatic you could be convinced that you’ve stepped out of this world and into the Promised Land. 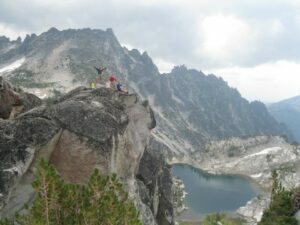 It was a hot summer day when I made my way from the dusty parking lot just outside of Leavenworth, Washington and into The Enchantments of the Alpine Lakes Wilderness. Getting here required a trek up a long and unforgiving trail which seemed endlessly vertical and beckoned for me to retreat. As the weight of my pack had me questioning my sanity the changes in the landscape began to capture my attention. Eventually persistence was rewarded by the emerging splendor and I started to realize I was heading into something like I’d never before seen. 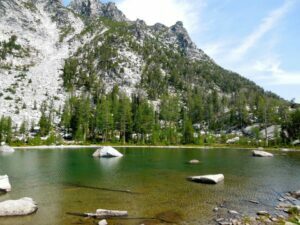 When I arrived at my designated camping area, Snow Lake, there were only another couple miles and couple thousand feet of elevation gain before I abruptly arrived at the first lake of the lower basin lakes, Lake Viviane. Upon stepping foot into this wilderness I was sure I had stumbled into a dream of J. R. R. Tolkien. Sharp granite ridges surrounded me and lead straight up to precarious towering peaks that pierced the sky only to dive back down dramatically into the tropical blue alpine lake below. As I continued past the first lake and through the mirage of others I found myself wandering into meadows of green grasses flecked with rainbow colored wildflowers. 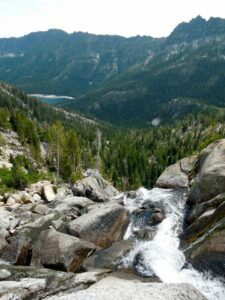 This paradise then slowly shifted into a mine field of granite boulders where snowfields from above trickled into ever-cascading streams. I thought it criminal to not stop and soak in this place from as many possible vantage points as time allowed. 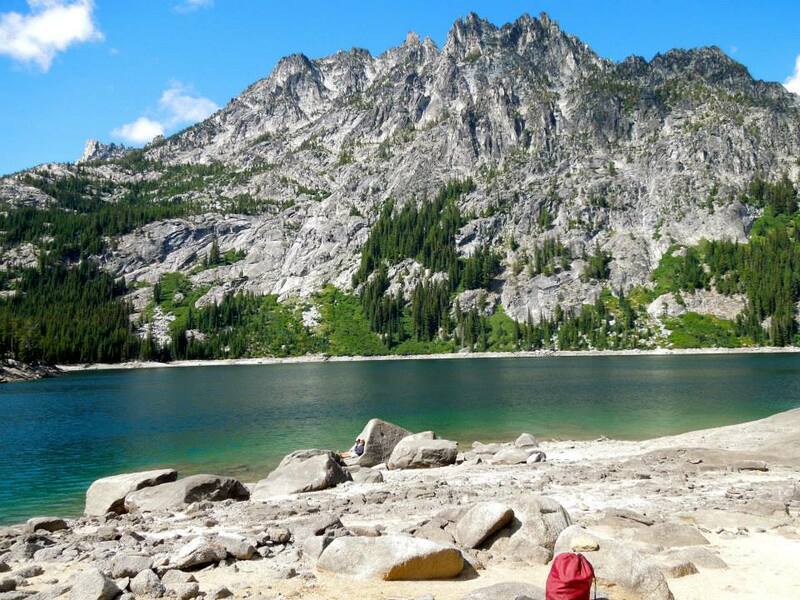 The lakes were a refreshing dip and hold an abundance of little fish that would make for a bona fide backcountry snack had I brought a fishing pole. 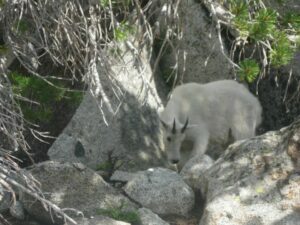 Not to go unnoticed were the countless families of mountain goats calmly watching as they grazed their day away. 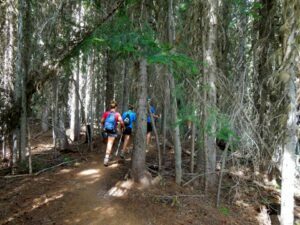 As I solemnly strode out of camp on the last day there was a sense that I was leaving a trail of fairy dust behind as I headed back to reality. This journey was an accentuation of a lesson I continue to learn from the mountains. To witness some of life’s most amazing treasures it will most likely require enduring a certain level of discomfort and pain but if you’re willing, the reward can be divine. Danielle Decker is Tourism Manager, Special Projects at Visit Seattle. She loves spending time outdoors, whether that’s hiking in the mountains, snowboarding or grilling on the deck with friends and family.